Chevron has kicked off an Apple Pay pilot program in the Bay Area that allows customers to use Apple Pay to pay for their gasoline directly at the pump, according to the company's Twitter account. Apple Pay can currently be used at a Chevron location in San Ramon, with a second location in Cupertino becoming available in the near future. @kevinkeitai 18060 San Ramon Valley Blvd in San Ramon accepts NFC including Apple Pay at the dispenser now. Cupertino coming soon! Chevron first announced plans to expand its use of Apple Pay to gas pumps in late 2014, but company did not have a clear timeline for the rollout of Apple Pay at the pump. Following the pilot program testing, it's likely Chevron will expand Apple Pay to other locations across the United States. Though support for Apple Pay at the pump is just now rolling out, Chevron was listed as an early Apple Pay partner. The payments service is supported at Chevron and Texaco gas stations, but can only be used at the in-store cash register, a considerably less convenient option than paying right at the pump. Apple Pay, which recently expanded to the United Kingdom, has been adopted at more than 700,000 locations across the United States. Dozens of major retailers support the payments service, with more retailers adding Apple Pay payment options each month. I'm pumped about the idea of this expanding! 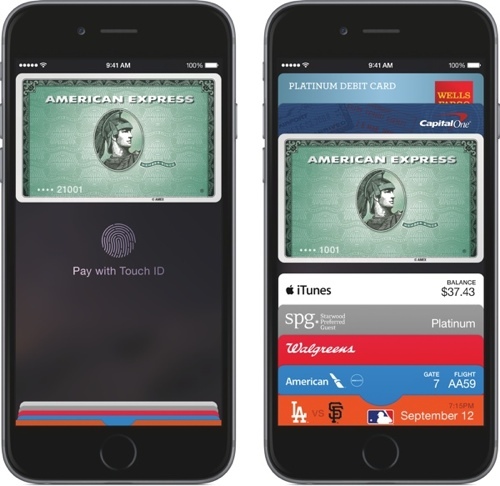 This is the one place I most want Apple Pay. Gas pumps are so insecure, it would be really nice to avoid having to swipe a card. I took a couple of pictures of the Chevron Station mentioned in the article on my way home from work. As expected the payment process was quick and easy, I even payed for the gas using my watch. How about lowering as prices instead? $1 increase in under a week is pathetic. The people in charge of pricing gas are not the same ones who brought Apple Pay to the pumps; these are unrelated issues. New Meijer gas station in Oak Creek WI has this feature, tried it tonight and it worked great. Ah, then you know that it's easy for thieves to identify the 16GB model... They're the ones being held by people with frowny faces. "In other news tonight, a routine phone jacking at a local gas station turned violent when the thief discovered his ill gotten prize was a 16GB iPhone 6 and returned to confront the original owner. Witness claim the thief cried out 'Man, what are you trying to pull here?! You can't even use a 16GB iPhone!' before assaulting the man continuously until police arrived. Experts say they expect the trial, set to start in 3 months, to focus around whether crimes like this would even happen if Steve Jobs were still alive." They can cause sparks and ignite fires. No, it's not the spark from the cell phone that's the issue. It's static electricity. It's the same reason you should touch something to discharge yourself as you slide out of the car.